Stump removals can present unique challenges, so you should always consult a professional stump grinding service when preparing to have a stump removed. With that said, when vetting a stump grinding service for your project, be sure and check that they are licensed and insured for everyone's protection. Also, ask them they have all of the required saftey equipment that stump removal services should have, such as head and face protection, hand protection, and foot protection. Our technicians have experienced to identify and deal with most situations and variables that may present themselves when grinding a stump. We have the skill and expertise to safely work around and near gas lines, sewer lines, water lines, electrical lines, and in close proximity to dwellings and other objects without causing any damage. 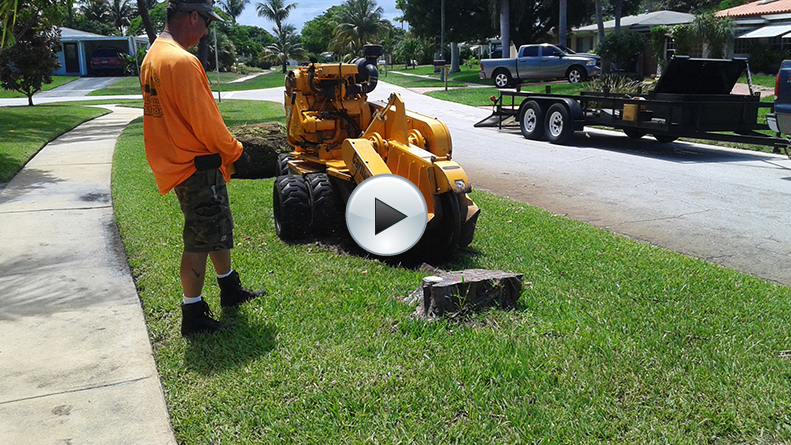 We offer stump removal services for every possible scenario. Whether you have hard to get to stumps, with little or no access, or if your stump is extremely large or hardened over time, on a hill or a bank, we have the resources to get to your stump and the job done Everytime. Call 954-931-3082 or contact us through our web form for your quote. There are several critical variables that a stump removal service should consider before they begin any stump grinding project on your property. 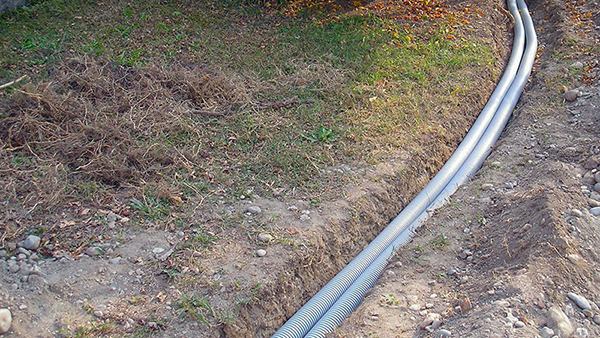 Are there water, sewer, electrical, gas, or any other lines below the surface near the removal? If there is line or pipe nearby, have line and pipe locator services been notified for proper flagging? If it is a stump removal, was the tree diseased, or did it have pests that might be spread to adjacent trees or landscape? Has the stump been checked for nails and other objects that could become projectiles during the removal process? Do the adjacent trees or landscape have roots that cross or inter-connect with the roots of the stump you are removing? If the stump or roots are located on a property line, has permission been granted by all property owners? Once the above criteria has been satisfied and the job commenses, you will want to make sure that all personal property, such as automobiles are a safe distance from the work zone. Be sure and let your neighbors know you are having stumps removed, so they can protect their property and loved ones. Make sure there are no children playing nearby, or pets roaming about that could be hit with flying objects. Remember, saftey is paramount! Before stump grinding have underground pipes and cables located to prevent personal/property injury and possible disruption to services such water, electric or cable.